A set of gold for anyone. 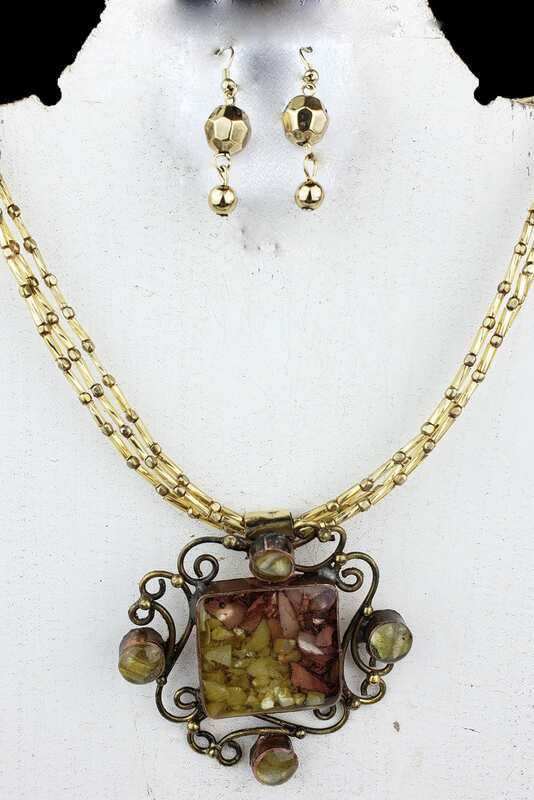 The gold hypoallergenic ear wire holds dual gold beads. 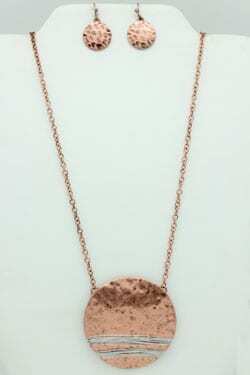 Finished with a gold necklace, adorned with a gold and mica pendant. 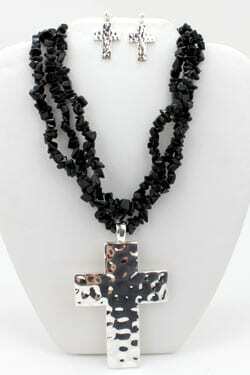 Comes on a 1×2.25″ necklace and earring card.